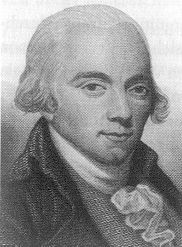 Muzio Clementi (January 24, 1752 – March 10, 1832) was a European classical composer, pianist, organist and teacher who is acknowledged as the first to write specifically for the piano. He is best known for his collection of piano studies entitled Gradus ad Parnassum. Clementi's piano sonatinas and sonatas influenced composers such as Joseph Haydn and Wolfgang Amadeus Mozart in their many keyboard works. Clementi was sought after as a piano instructor not only because of his prodigious keyboard virtuosity but also because of his unselfish manner in teaching the essentials of piano technique. He placed an added emphasis on one's good character along with having diligence in studying the piano. Clementi was born in Rome in 1752, the first of seven children, to Nicolò Clementi, a highly respected silversmith and Roman by heritage, and Magdalena Kaiser, who was Swiss. His musical talent became clear at an early age: by age seven he was in musical instruction, and was such a good student that by age nine he gained a position as a church organist. In 1766, Sir Peter Beckford (1740-1811), a wealthy Englishman and cousin of the eccentric politician William Beckford, took an interest in the boy's musical talent, and struck a deal with Nicolò to take Muzio to his estate of Steepleton Iwerne, just north of Blandford Forum in Dorset, England—where Beckford agreed to provide quarterly payments to sponsor Muzio's musical education. In return for this education, he was expected to provide musical entertainment at the estate. It was here that he spent the next seven years in devoted study and practice at the harpsichord. His compositions from this early period, however, are few, and they have almost all been lost. In 1770, Clementi made his first public performance as a pianist. The audience was very impressed with his playing, beginning what at the time was one of the most successful concert pianist careers in history. In 1774, Clementi was freed from his obligations to Peter Beckford, and he moved to London, where among other accomplishments he made several public appearances as a solo harpsichordist at benefit concerts for a singer and a harpist. He also served as "conductor"—from the keyboard—at the King's Theatre and The Haymarket for at least part of this period. His popularity grew in 1779 and 1780, due at least in part to the popularity of his newly-published Opus 2 Sonatas. His fame and popularity rose quickly, and he was considered by many in musical circles to be the greatest piano virtuoso in the world. Clementi started a European tour in 1781, when he travelled to France, Germany, and Austria. In Vienna, Clementi agreed with Joseph II, the Holy Roman Emperor, to enter a musical duel with Wolfgang Amadeus Mozart for the entertainment of the Emperor and his guests. Each performer was called upon to improvise and perform selections from his own compositions. The ability of both these composer-virtuosi was so great that the Emperor was forced to declare a tie. On January 12, 1782, Mozart wrote the following to his father: "Clementi never played well, as far as execution with the right hand goes. His greatest strength lies in his passages in 3rds. Apart from that, he has not a kreuzer 's worth of taste or feeling, in short he is a mere mechanicus" (automaton or robot in Latin). In a subsequent letter, he even went so far as to say "Clementi is a charlatan, like all Italians. He marks a piece with the tempo marking, presto, but plays only allegro." Clementi's impressions of Mozart, by contrast, were all rather enthusiastically positive. In 1770, Clementi gave his first public performance as a pianist. He performed his B-Flat Major sonata, and the main theme captured Mozart's imagination so much that ten years later, Mozart used it in the overture to his opera Die Zauberflöte (The Magic Flute). This so embittered Clementi that every time this sonata was published, he made certain that it included a note explaining that it had been written ten years before Mozart began writing Zauberflöte. A likely reason that these later works were not published in Clementi's lifetime is that he kept revising and reshaping them. Starting in 1782 and for the next twenty years, Clementi stayed in England playing the piano, conducting, and teaching. Two of his students attained a fair amount of fame for themselves. They were Johann Baptist Cramer and the composer John Field (who, in his turn, would become a major influence on Frédéric Chopin). Clementi also began manufacturing pianos, but in 1807 his factory was destroyed by a fire. That same year, Clementi struck a deal with Ludwig van Beethoven, one of his greatest admirers, that gave him full publishing rights to all of Beethoven's music. His stature in music history as an editor and interpreter of Beethoven's music was equal to his being a composer, although he was criticised for some questionable editorial work, e.g., making harmonic "corrections" to some of Beethoven's music. Beethoven in his later life started to compose (mostly chamber music) specifically for the United Kingdom market which might have been related to the fact that his publisher was based there. In 1810, Clementi ceased his concerts to devote all of his time to composition and piano making. On January 24, 1813 in London, Clementi, with a group of professional musicians, banded together and founded the "Philharmonic Society of London" which became the Royal Philharmonic Society in 1912. In 1830, he moved to an area outside of Lichfield and then spent his final less years in Evesham, where he died at age eighty. He was buried at Westminster Abbey. He had been married three times. Clementi is best known for his collection of piano studies, Gradus ad Parnassum, to which Claude Debussy's piece Doctor Gradus ad Parnassum (the first movement of his suite Children's Corner) makes playful allusion. Similarly his sonatinas would remain a must for piano students everywhere. Erik Satie, a contemporary of Debussy, would spoof these sonatinas, specifically the sonatina Op. 36 N° 1, in his Sonatine Bureaucratique'. Clementi composed almost 110 piano sonatas. Some of the earlier and easier ones were reissued as sonatinas after the success of his Sonatinas Op. 36, and continue to be popular practice pieces in piano education. His sonatas are rarely performed in public concerts, largely because they are seen as nonchallenging educational music. Some of Clementi's sonatas are more difficult to play than those of Mozart, who wrote in a letter to his sister that he would prefer her not to play Clementi's sonatas due to their jumped runs, wide stretches, and large chords which he thought might induce injury. In addition to the piano solo repertoire, Clementi wrote a great deal of other music, including several recently pieced together, long worked on but slightly unfinished symphonies that are gradually becoming accepted by the musical establishment as being very fine works. While Clementi's music is hardly ever played in concerts, it is becoming increasingly popular in recordings. Mozart's evident disrespect for Clementi (and perhaps Italians in general) has led some to call them "arch rivals." But the animosity was not as far as we know reciprocated by Clementi, and in any case Mozart's letters are full of irreverent jibes which he never expected to become public. Russian pianist Vladimir Horowitz developed a special fondness for Clementi's work after his wife, Wanda Toscanini, bought him Clementi's complete works. Horowitz even compared some of them to the best works of Beethoven. The restoration of Clementi's image as an artist to be taken seriously is largely due to his efforts. Clementi is a highly underrated figure in the music world. He is widely regarded by scholars as the creator of both the modern piano as an instrument and the father of modern piano-playing. Being a contemporary of the greatest classical piano composers such as Mozart and Beethoven cast a large shadow on his own work (making him one of the "lesser gods"), at least in concert practice, despite the fact that he had a central position in the history of piano music, and in the development of the sonata form. Muzio Clementi used his compositions, teaching and performing on both the piano and organ to expand on the depth and complexities of keyboard music to earn his influential title as the father of modern piano performance. Gradus ad Parnassum, Etude (Canon) in b minor no. 26 (MIDI) InfoRetrieved May 10, 2007. Gradus ad Parnassum, Etude in F major no. 65 (MIDI) InfoRetrieved May 10, 2007. Chapin, Victor, Giants of the keyboard, Philadelphia: Lippincott, 1967. Spada, Pietro, The Complete Symphonic Works of Muzio Clementi, Milano:Suvini Zerboni, 1977. This page was last modified on 28 May 2013, at 15:04.